Hawai'i has quietly undergone an agricultural revolution whereby chemical companies treat the islands as pesticide testing grounds for GE crops, but communities are fighting back. Malia Chun's suspicion about her new neighbors started soon after her eyes began to itch and her lungs began to burn. Fallowed sugar cane crops once surrounded her home in Kekaha, a rural, close-knit community on the west side of Kauaʻi. But just a few years after moving there with her two daughters, Chun noticed that genetically engineered (GE) crops soaked with toxic pesticides had taken the sugar cane’s place. Malia Chun stands in front of the GE corn fields near her home. It wasn’t always this way. Eight years ago, when Chun first moved to Kekaha, she considered it a blessing to be able to raise her children in such a safe, community-minded environment. “It was a gem,” says Chun, a Native Hawaiian. Chun didn’t know it yet, but these new crops were just a microcosm of a larger effort to turn the Hawaiian Islands into ground zero for GE testing. Malia Chun's home is located just behind fields filled with GE crops and pesticides. Each year, millions of tourists flock to Hawaiʻi to kick back, relax and unwind, driving billions of dollars into the state’s economy. Today, Hawaiʻi has more experimental field trials of genetically engineered crops than any other state in the nation, with operations on Kaua‘i, O‘ahu, Maui and Molokaʻi. Where sugar cane, taro, breadfruit and papaya once reigned, mile-long fields of genetically engineered corn now grow. Hawaiʻi’s seed industry drives some economic activity in the state, but the industry has its costs. School children have been hospitalized with symptoms of pesticide exposure, and organic and conventional farmers risk losing their markets from transgenic contamination by, for example, cross-pollination from genetically engineered crops. In addition, toxic dust from the fields regularly coats the windows of homes and businesses. Despite these deleterious impacts, Hawaiʻi’s state government and federal regulators have turned a deaf ear to complaints. Malia Chun, like many Hawaiʻi residents, believes that the GE crops and the pesticides that the crops are paired with threaten her health and the environment. Many of the pesticides are designated as “restricted use” because of their inherent health risks. They include chlorpyrifos, a developmental neurotoxin that causes brain damage in children; paraquat, linked to development of Parkinson’s disease; and atrazine, an endocrine disrupter that contaminates water sources. My front yard is a GE testing site. Chun couldn’t simply pick up and move, so she decided to tackle the pesticide problem head on. She began organizing potlucks with local moms to share information about GE farming and pesticides. At first, few came. Like most small towns, the residents of Kekaha prefer to keep their problems to themselves, especially when the problem involves an industry that provides jobs where there are few. Many residents, both native and non-native, also have a love/hate relationship with the agriculture industry. During the sugar plantation era, plantation owners provided jobs, houses and doctors for the families, but they came to that position of power after unlawfully overthrowing the Hawaiian Kingdom in 1893. As a result, one has to be careful about criticizing the plantation days. Chun began participating in protests rallies, marches and hearings to try to get laws passed that protect the community from pesticides. In the fall of 2013, she joined thousands of doctors, nurses, farmers, beekeepers, labor unions, parents and others in the county seat of Lihue to support pesticide regulations. Some report that the “Mana March” was the largest public march in Kauaʻi history. 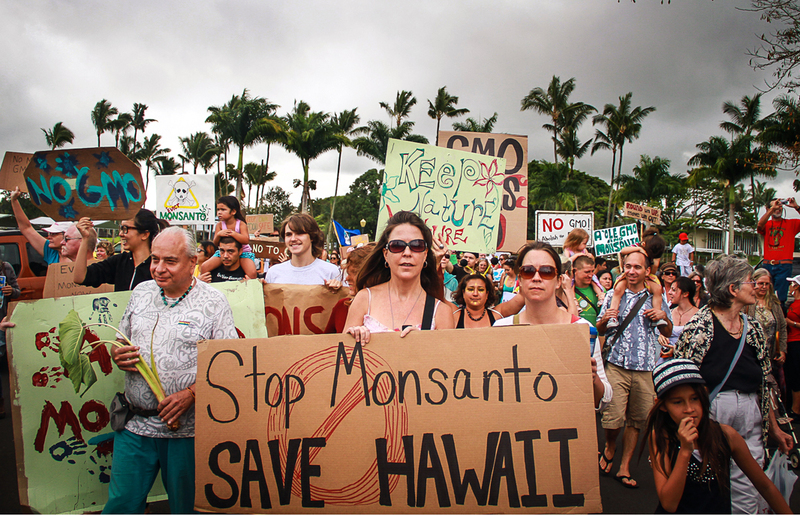 Hawaiians gather to protest GMO agribusiness on their islands. As Chun and other protestors lined the streets of Lihue, Kauaʻi County council member Gary Hooser could hear them shouting in support of the bill that he and fellow councilman Tim Bynum had introduced to address their concerns. 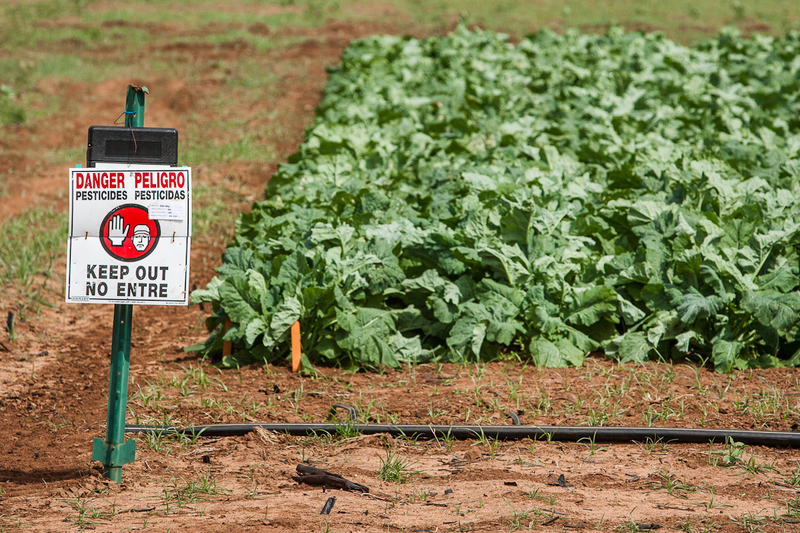 Bill 249 targets large-scale agricultural pesticide users on Kauaʻi, requiring them to disclose which pesticides they are spraying, where and in what quantities. The bill also requires buffer zones between fields and public areas, including schools, hospitals and waterways. Hooser had received many complaints from his constituents about the pesticide issue over the past several years. Residents of West Kauaʻi, in particular, had been complaining for over a decade to the state about pesticide drift and its impacts. They had reason to worry. On two occasions, noxious odors caused teachers and students at Waimea Middle School to become ill; some even went to the hospital. Members of the community suspected pesticides sprayed by Syngenta, but the company claimed that the source was actually stinkweed, a local plant. Pesticide runoff from GE crops was also suspected of causing a massive die-off of sea urchins along the ocean floor on the south side of Kauaʻi. Unfortunately, the state never tested the sea urchins for exposure to pesticides and the results of the investigation for the sudden die-off were inconclusive. Kauaʻi's people were fed up with the state’s lack of response to their concerns, so they reached out to Hooser for help. 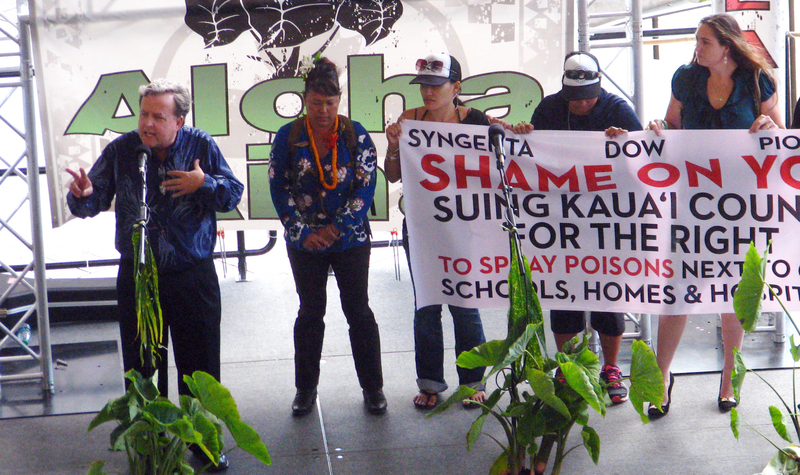 Kauaʻi council member Gary Hooser speaks at a community GMO protest. “It was real clear to me the issue needed to be dealt with and it was my responsibility as a council member to do something,” says Hooser, who adds that there is broad-based support for regulation, from old and young, different ethnicities and education levels. “It wasn’t just my environmental friends. It was a mainstream issue. ”Hooser began meeting in people’s homes to discuss their options. After a series of these meetings, a draft of Bill 2491 came together. As development of the bill progressed, Hooser reached out to Earthjustice attorney Paul Achitoff, who offered to review the bill and assess its legal feasibility in the courts. 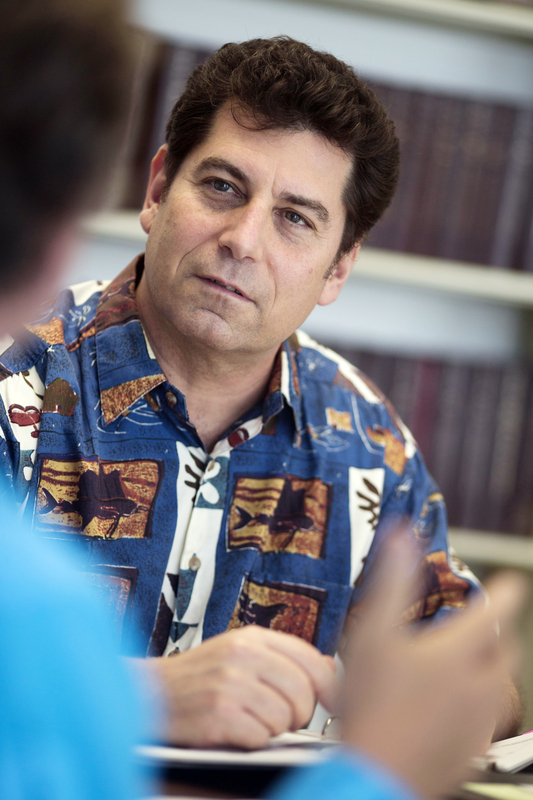 Earthjustice attorney Paul Achitoff discusses Kauaʻi’s pesticide problem with Gary Hooser. Over the next year, Hooser and others advocated tirelessly in their divided community for the passage of the bill. Though many were concerned about GE crops and pesticides, others were concerned about losing jobs. The biotech industry did everything to play up this fear, casting the bill as a “job killer” that would drive the industry right out of Kauaʻi. Before the hearings, people on both sides of the debate would line up at 5 a.m. just to ensure they got a seat. During one public hearing, Malia Chun encouraged council members to be brave, even in the face of intense opposition from both industry and the mayor, who had come out against the bill because he didn’t believe it was legally defensible. “Allowing the mayor to veto the bill would be like sending an abused child back to its abuser,” Chun told council members. After a year of heated county council hearings and a veto from the mayor, Kauaʻi County passed Bill 2491. The community had prevailed over four of the largest chemical companies in the world. Soon after, the biotech companies sued. The biotech representative’s concerns became a reality as other islands, after seeing what was happening in Kauaʻi, began to demand that they, too, have a say in whether GE crops are allowed in their communities. The Hawaiian Islands have a long history of foreign interests coming in and using their land and water. In the mid-1800s, plantations took over water resources throughout Hawaiʻi to grow thirsty crops like sugar cane, leaving native communities out to dry. A century later, chemical companies brought GE crops to the island with the first-ever genetically engineered papaya that could resist a disease known as the Papaya Ring Spot Virus. A danger sign warns of pesticide use. Though the biotech industry touts the GE papaya as a success, organic farmers claim that genetic drift from the GE papaya has cost them sales to lucrative markets like Japan and put their organic certifications in question. Today, organic and conventional farmers must take expensive measures to try to protect their crops from contamination by transgenic pollen drifting from the GE crop fields. Despite these impacts, Hawaiʻi's state government and federal regulators have turned a deaf ear to the islands’ complaints, so community advocates on Maui, Hawaiʻi island and elsewhere are working to enact their own bans or regulations. On the Big Island, none of the big biotech companies have yet taken root, and the people want to keep it that way. In December 2013, Mayor Billy Kenoi signed a bill banning farmers from expanding genetically altered crop production, except GE papaya. On Maui, citizen groups spent months gathering thousands of signatures and put a moratorium on the cultivation of GE organisms on the ballot. The initiative passed despite million-dollar ad buys from the biotech industry to persuade voters to reject the initiative. Each case poses the same question: Do citizens have the right to determine what is allowed in their communities? And in each case, the biotech industry has sued to take away that right. They have made a laundry list of obscure legal claims like federal pre-emption, state pre-emption, violation of county charters and the dormant commerce clause. The fate of these bans and restrictions is still unclear, with two of the three cases currently pending in the Ninth Circuit Court of Appeals. But what is clear is that the issue of GE and pesticide use in Hawaiʻi has reinvigorated a larger debate over whether communities should have a say in what happens within their own borders. "People have given their government up to the politicians and corporations, and now they're ready to take back ownership of it," says Hooser. See the latest on Earthjustice's GMO litigation and advocacy work. 1. BUY ORGANIC. Foods certified organic by the U.S. Department of Agriculture are guaranteed to be devoid of any genetically modified ingredients. 2. EAT YOUR FRUITS AND VEGGIES.For the most part, fresh produce like apples, bananas and carrots have avoided the stain of genetic tinkering—for now. 3. Support Earthjustice. Today’s environmental challenges are greater than ever. But we live in a country of strong environmental laws—and Earthjustice holds those who break those laws accountable for their actions. Join the fight. Consumers fight for protections and labeling.